You'll save hundreds of dollars buying prebuilt now. That's how bad DIY component prices have become. It crushes my soul to say this, but if you need a new gaming PC, don’t build your own. Buy a prebuilt computer instead. That’s not permanent advice. I’m a diehard DIYer. Few things in life are more satisfying than seeing your handmade rig POST the first time you boot it up. 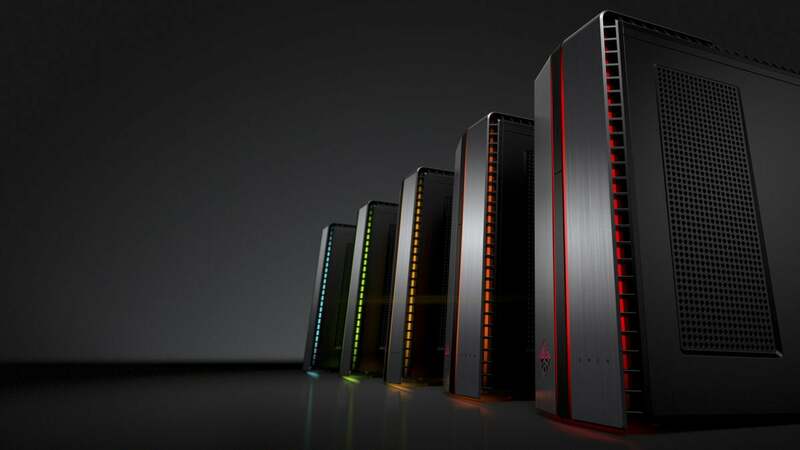 The deck is stacked against homebrew PC builders in today’s market though, as hardware shortages and the cryptocurrency boom have sent the cost of crucial components sky-high. Current graphics card prices are ludicrous unless you’re targeting entry-level GPUs, with most models selling for at least twice their suggested price. The Radeon RX 570 is supposed to start at $170, for example, but the cheapest I can find on Newegg right now costs $470, and the vast majority go for closer to $600. It’s no better at other retailers, or even with used graphics cards. 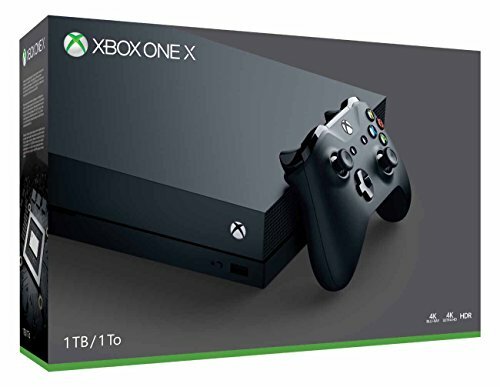 We’ve even taken the drastic step of suggesting that gamers in a bind snag an Xbox One S with Forza Horizon 3 for $240 or an Xbox One X for $500 until the GPU pricing pain stops. Ugh. Memory prices hurt just as much. The industry can’t make enough to keep up with demand, so prices for DIY RAM kits have almost doubled over the past year. 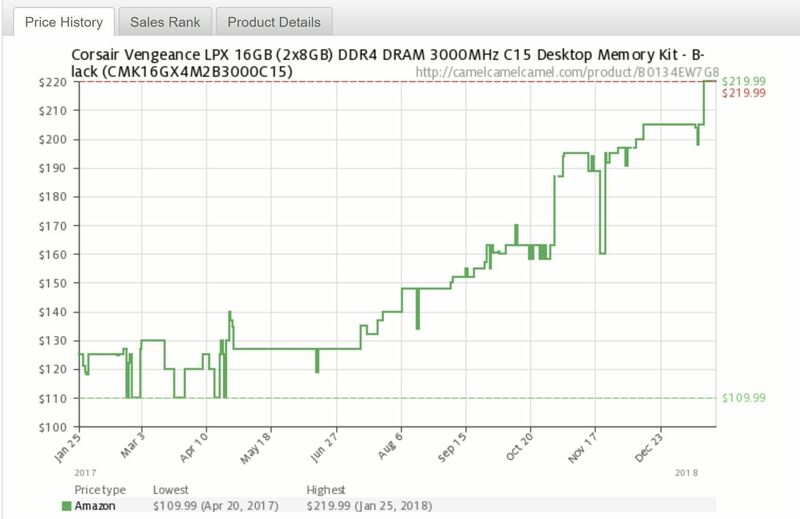 Just check out the price history of this 16GB Corsair Vengeance 3000MHz kit, courtesy of CamelCamelCamel. It’s a nightmare—and one that isn’t expected to end any time soon. 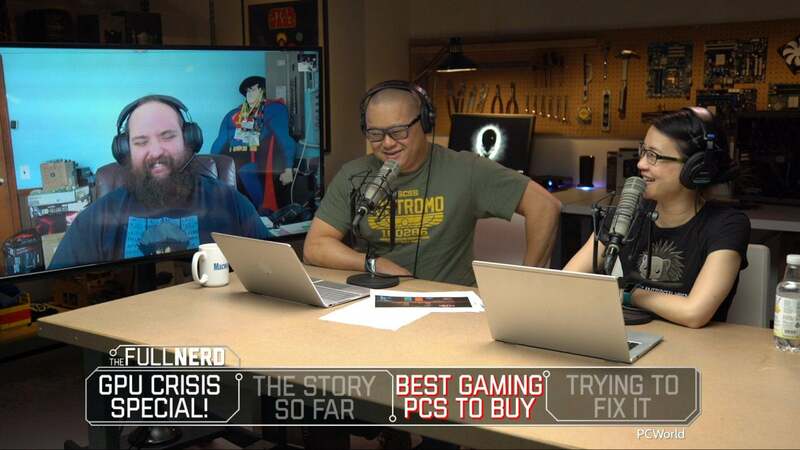 Things aren’t as bleak in the world of prebuilt gaming PCs, where vendors like HP, Dell, Lenovo, Falcon Northwest, Origin, et cetera buy components in bulk directly from hardware suppliers. That helps keep costs down. Remember that the cheapest Radeon RX 570 available costs $470, with most selling for closer to $600. You’ll find 8GB of 2400MHz DDR4 memory for around $100. 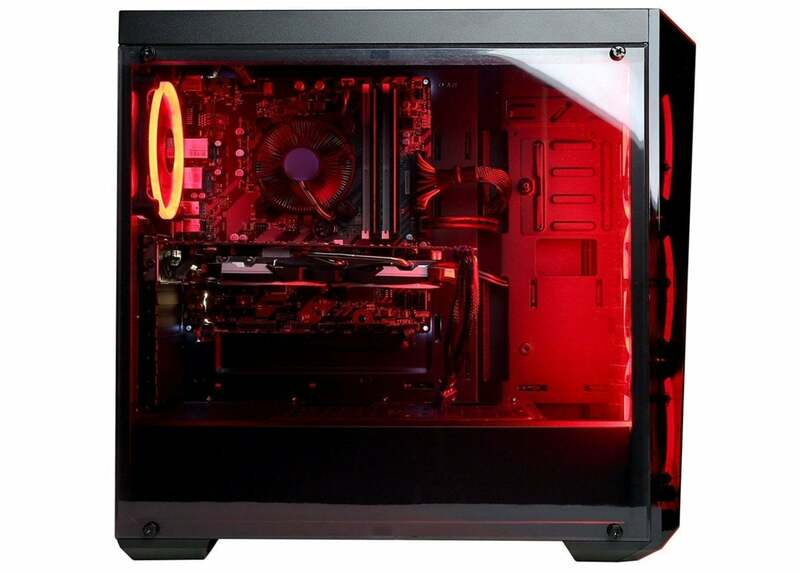 Add in the Ryzen 5 1400’s $150 cost, and DIY builders already find themselves near the price of the Dell Inspiron, before you even factor in a case, motherboard, storage, power supply, or a $100 Windows license. Dell throws in a wireless keyboard, too. CyberPowerPC’s offerings are just as enticing. The Gamer Xtreme GXIVR8020A4 costs $780 on Amazon and comes with a 4GB Radeon RX 580, 8GB of RAM, a 1TB hard drive, and a last-gen Core i5-7400, as well as a bunch of snazzy RGB LED fans. Radeon RX 580 graphics cards currently start at $500 standalone on Newegg, with some going for over $700. In other words, you can snag CyberPower’s entire system for the cost of what you’d pay for the graphics card, RAM, and Windows license alone in a DIY machine. You’d save at least $300 opting for this over building your own PC. The massive savings don’t only apply to mid-range PCs either. CyberPowerPC’s Gamer Xtreme VR GXiVR8080A2 costs a healthy $1,999 on Amazon, but for that price you get a beastly GeForce GTX 1080 Ti, a liquid-cooled Core i7-8700K, 16GB of DDR4 RAM, and a 240GB SSD augmented by a 1TB hard drive—plus the same snazzy RGB LED fans mentioned in the last CyberPower rig. That’s serious firepower. But the cheapest GTX 1080 Ti on Newegg right now is $1,200, with the vast majority selling for over $1,300. These cards are supposed to cost $700, remember. Once you add in the DIY costs of a 16GB DDR4 kit (about $200, depending on the brand) and the Core i7-8700K processor ($380 on Amazon) alone you’re already spending as much as you would for CyberPower’s full system. 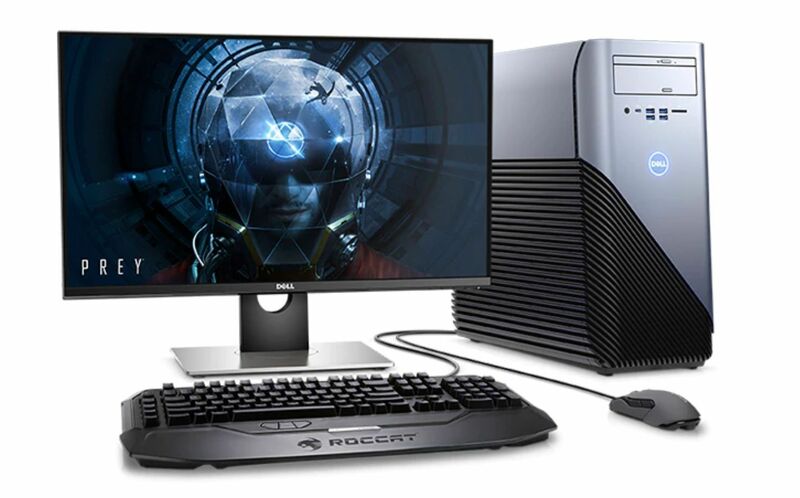 The pricing gap closes as you move toward entry-level gaming PCs, as graphics options like the GeForce GTX 1050 and 4GB memory kits aren’t as pricey as more potent gear. But even that hardware is still selling for higher than it should. Once you move beyond budget builds, prebuilt PCs hold a clear pricing advantage—and it isn’t even close. 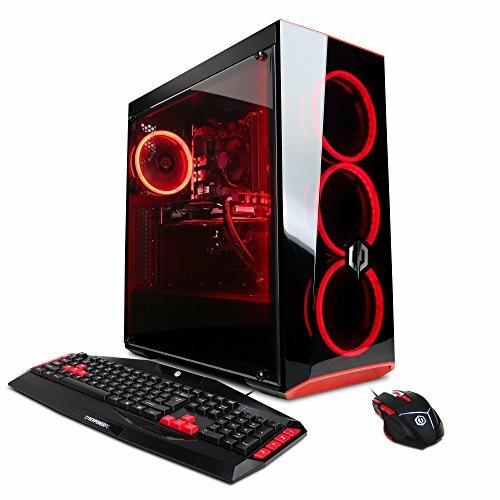 You can save literally hundreds of dollars by picking up boxed computers like the ones I detailed above, and those come ready to go out of the box, factory tested and backed by warranties with support staff available in case anything goes wrong. I know, I know: When you buy pre-built, you lose the freedom and fun of selecting your own hardware, let alone the pure cathartic bliss of building a machine with your own two hands. But hey, you’ll be literally hundreds of dollars richer. Did I mention that yet? Not all prebuilt PCs will be cheaper than comparable DIY rigs though, so be sure to do your research before you empty out your wallet. Also watch out for prebuilt PCs offering a GeForce GTX 1060. Many of the ones I’ve seen online carry a 3GB GTX 1060. This stripped-down version isn’t as fast as the superb 6GB GTX 1060, and its limited memory capacity could already force you to turn down graphics settings in modern triple-A games. Or, if you want portability, gaming laptops are more enticing when you consider the astronomical desktop prices. Fingers crossed these dark days will pass soon… but that seems unlikely unless the bottom falls out of Bitcoin prices. Bummer. If you’re determined to buy a graphics card without buying a full PC, check out PCWorld’s guide on how to keep gaming in the coin mining era.